When I plan what to write for my blog, I don’t worry about the number 52. Fifty-two posts is a lot to plan at one time. I focus more on the number 3. What can I write about in the next 3 months? Write down holiday posts on the appropriate weeks, and fill in other meaningful dates. Pray about a series. I like these because I know what I’ll be writing about for weeks at a time. Pray about a subject and write down ideas for posts once you know your topic. Fill in your calendar based on the number of weeks you need. Plan “random” posts. I recommend giving yourself 3-4 weeks in between series for this type of post. This will let your brain rest and be creative with spontaneous ideas. Recruit guest bloggers. I especially need this while I am designing magazines, but it’s a good idea for anyone. Featuring guest bloggers gives you time to rest, and it gives your guests a new or broader audience. 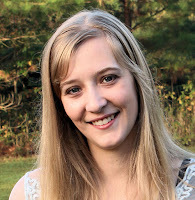 I try to have only two guest bloggers in a row since I write weekly and want to stay in touch with my readers. If you plan a series for your blog, consider asking trusted writers to join you. It will likely prove to be a lot of fun. Write about a sermon series. If you know that your pastor is planning one, give yourself one or two weeks to talk about something from his series. Give him credit in the post(s), and use at least one quote from his sermons. Remember your travels. If you are taking a trip, plan a week after the adventure to write about it. Remember to take good pictures while you are gone, and share something that God showed you or a special moment that you relished with your fellow travelers. Keep past posts handy. If you know a certain time of the year will be extremely busy, plan to share a popular post that is six months or a year old. Change the picture and update any wording you need to. Also, this is helpful when you have an emergency and don’t have time to write something new. Blog about writers conferences. If other writers are a big part of your audience, plan a few posts at the appropriate times of the year. Many conferences happen in the spring and fall, and if you’ve been to one before, you have some wisdom to share with “newbies” or some good memories to pass on to veterans. Keep your eyes open. Not just your physical eyes, but your spiritual eyes. Some of the best blog posts I’ve written were gifts from God—a yellow butterfly with broken wings in the backyard, a crepe myrtle branch who became a tree, a sunset that caused me to sing “Midnight Cry” in the car. Although you can’t “plan” for these things to happen, you can give yourself room in your calendar to capture the tiny, the magnificent, and the unexpected in words. What tips can you offer for mapping out a blogging calendar? What ideas have worked for you in the past? Share your thoughts, and don’t forget to join the conversation! Great post, Katy. I find I'm sometimes temporarily burned out writing about the same topic every time. I especially like numbers 3, 5, 6, and 10. These all allow for a spontaneous break from the routine. Something I relish as a lover of fiction. Thank you, Bruce! I would be interested in reading your blog posts (besides the ones on the Write Conversation). I don't get the chance to read many blogs by novelists, and I've wondered what they write about! Practical, helpful suggestions, Katy! Thanks. I am glad you thought so! Thank you, Dennis. Great tips, Katy! Thank you! I'm glad you liked them, Crickett! 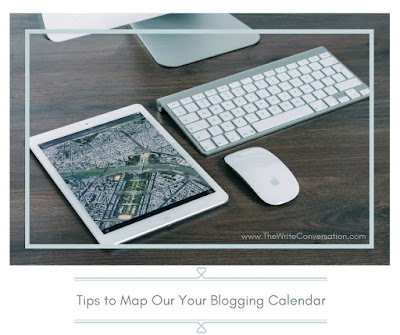 I worked with a Marketing Consultant last year who encouraged me to set up a blogging calendar. Before then, I just posted at my whim. Now, I, like you, post weekly on Monday's. I try to mix it up between me writing the blog, with me sharing something someone else wrote, to having Guest Bloggers post. It's been really helpful to have a calendar marked with what type of post I plan to post each week and keep that pattern each month. From there, you list is super helpful to figure out the actual post topic. Thank you for sharing this! You're welcome! I like it when bloggers have different categories that they write for. It mixes things up and keeps the blog fresh, in my opinion. I wish you well in your blogging! I am glad you liked the ideas. Great tips! And while my posts are basically the same each week--a mystery question for my readers to solve--I need something personal to start off with and these are some great ideas. Now I want to check out your blog. :) I saw you write fiction. So glad you think you can use the ideas to begin your posts! Inspired by your list, I've now got three and half months of weekly posts mapped out. I've tried to do this before, but something about the system you describe clicked for me. So thank you! Yay! That's so good to hear. Thank you for telling me, and may God bless your blogging! Great tips Katy! I've got a history & fashion blog, and there's a slump in the wintertime when a lot of the historical homes shut down for the winter. Any recommendations for getting through that slump? Ooh, I want to check out your blog. Everyone needs ideas in the winter about how to stay warm AND fashionable. About the historical side of the blog, I'd be interested to hear about the renovation of such homes. How much does it cost? How many people end up using a modern style on the inside even if the home still looks "historic" on the outside? A little HGTV, maybe. You could also research Christmas tours in historic sections of cities across the nation and post when those happen. I hope those ideas help! Thanks for these tips, Katy! I've been blogging for seven years, yet I never created a blogging calendar until this past fall. What a difference it's made! I need to be better about planning ahead, though. I like your idea of only focusing on three months at a time. I'll have to try that. ;) Thanks! Yes! More than three months seems overwhelming, and you never know what new topics may pop up as you go along. I didn't have a calendar for three years, and not knowing what I was going to write about next became frustrating and made me panic. I'm glad you liked the tips, Tessa! You have some great "categories" on your blog. Excellent post, Katy! I've found keeping a blogging calendar to be very helpful and your ideas will make the process even more effective. Thank you! Thank you, Cathy! That's great to hear. Happy Blogging in this new year. I hope these tips help! Blogging is an important part of a writer's career. I am cheering you on, Rosemarie!